The January CMS Encounter Data Sweep is approaching. 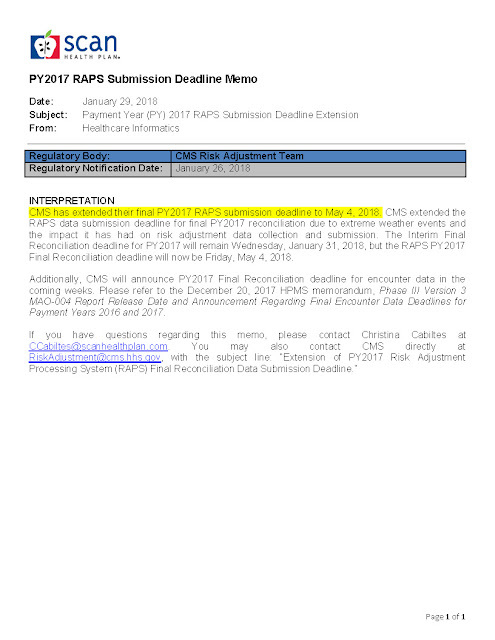 This is the FINAL CMS sweep impacting 2016 DOS (2017 payment) and requires the submission of encounters for DOS range 01/01/2016 à12/31/2016. 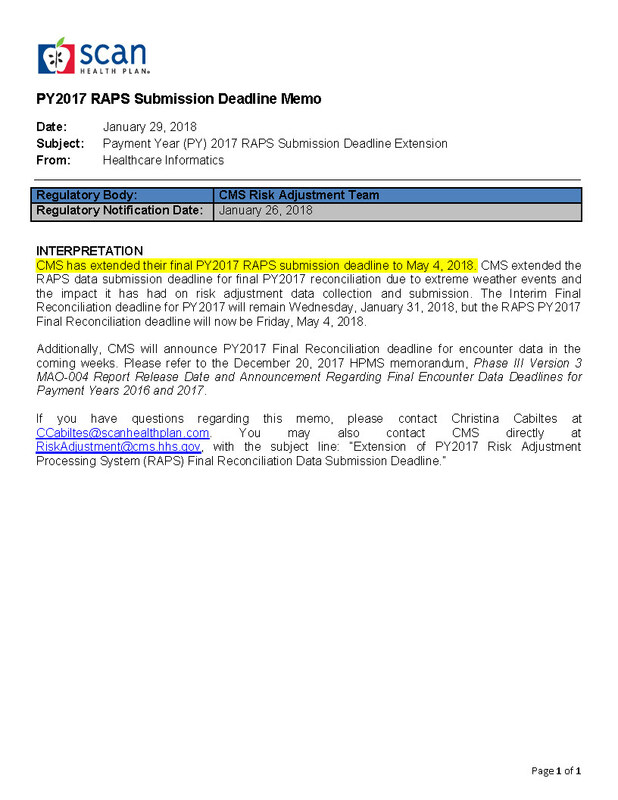 CMS currently plans a 75% RAPS and Fee for Service and 25% EDS and Fee for Service blended risk score based on 2016 DOS. SCAN’s Target Date for submission of 2016 DOS has passed, but there is still time to submit the remainder of your 2016 DOS Encounter Data! We are 2 weeks away from SCAN’s Final Deadline Date! Additionally, we are now 2 weeks away from SCAN’s Target Date for the March CMS Encounter Data Sweep, which requires the submission of encounters for DOS range 01/01/2017 à12/31/2017. CMS currently plans a 85% RAPS and Fee for Service and 15% EDS and Fee for Service blended risk score based on 2017 DOS. December reports were uploaded to the SCAN Encounter Data Portal on 1/5/2018. The next ESRs will be uploaded the first week of February 2018.